2 uniques? Next to each other? When Back of the Ferry debuted as a blog over 5 years ago, its ambitions were modest at best. 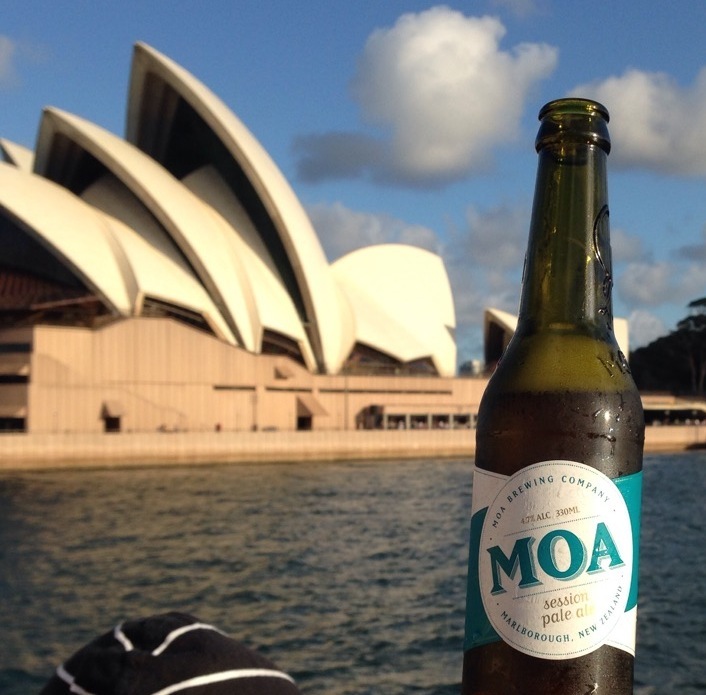 Write a couple of tales about bars between work and the ferry and maybe talk about a different beer imbibed on the Back of the Ferry that had been purchased at Mr Liquor at Circular Quay. Things have moved on a little. Back of the Ferry embraced the social media age. We’re on Instagram, Twitter, Facebook and UnTappd. For a while there there were as many as 10 correspondents contributing at various times from many parts of the globe. Business trips became beer travelogues and we made plenty of friends all over the beer world. Lately though, the posting has declined (except when one of us is lucky enough to go OS and a flurry of beer and bar stories burst forth). (Don’t worry – this isn’t a eulogy). Tonight it was my turn to purchase the beverage for the voyage home and amazingly Mr Liquor had two beers in its wonderfully cold fridges that were Untappd uniques for Back of the Ferry. It’s been a long time since Mr Liquor stocked anything remotely unusual. It was like the good old days. Well before the UnTappd days, the posting rule was that you couldn’t write about the same beer twice. Based on Mr Liquor’s purchasing policy, we ran out of story beers from there after about two weeks. Every now and then something new and sh1te would come in (I think Mr Liquor was the first in Australia to stock Hooten), but we changed the posting rules and then you could post about different beers consumed on the way to the ferry. Soon after, it was just about different beers consumed anywhere. That unique beer per post rule has been rarely broken except when the imbibing location has been absolutely exceptional (Great Wall comes to mind). So tonight was a return to the early days of Back of the Ferry. Remarkably the MOA Session Pale Ale and the Emdbräu Premium Lager were side by side on Mr Liquor’s shelves. Our Untappd did not need consulting – these were two uniques. 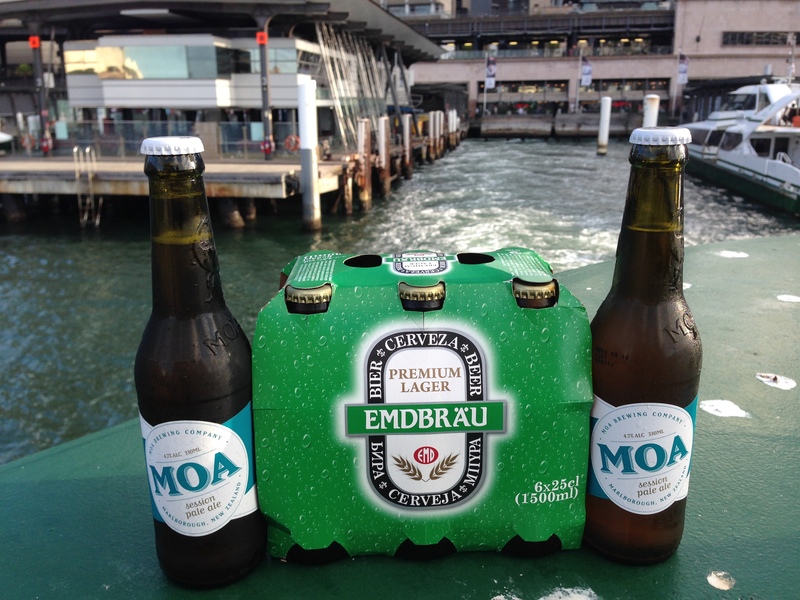 Stocking MOA is a little unusual for Mr Liquor, however the Emdbrau is right up his alley. A six pack of unusually sized bottles for less than $11. illiards and I were quite thrilled to be stepping back in time and we gave the beers the royal BotF Beerp0rn treatment with the stern photo and the Opera House photo et al. The MOA was quite good. We both agreed that MOA tends to be quite fizzy, no matter the variety. This was no different – but there was good bitterness to be had. It was dialled down from say 4 Pines Pale Ale in terms of robustness, but that would be the Session angle coming through. 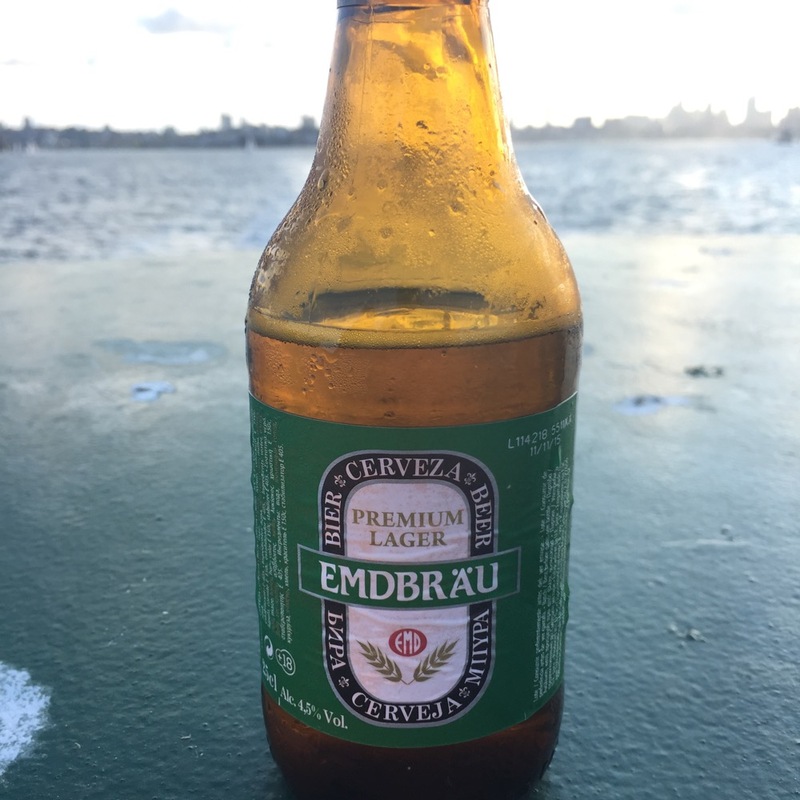 The Emdbräu “Premium Lager” was nothing more than malty Euroswill and we expected nothing less. The twist top size (albeit with a Crown Seal) took us back to University Days and the Emdbräu was sufficiently cold and wet to take the edge off the heat on another sun drenched journey home. Emdbräu is made by Brauerei Nemo Namenlos, which is a German brewer that has made beer for sale in IKEA’s UK shops. There’ll be a far less time between domestic postings – promise. Some good reminiscing there, and a reminder that this NZ correspondent needs to contribute more! 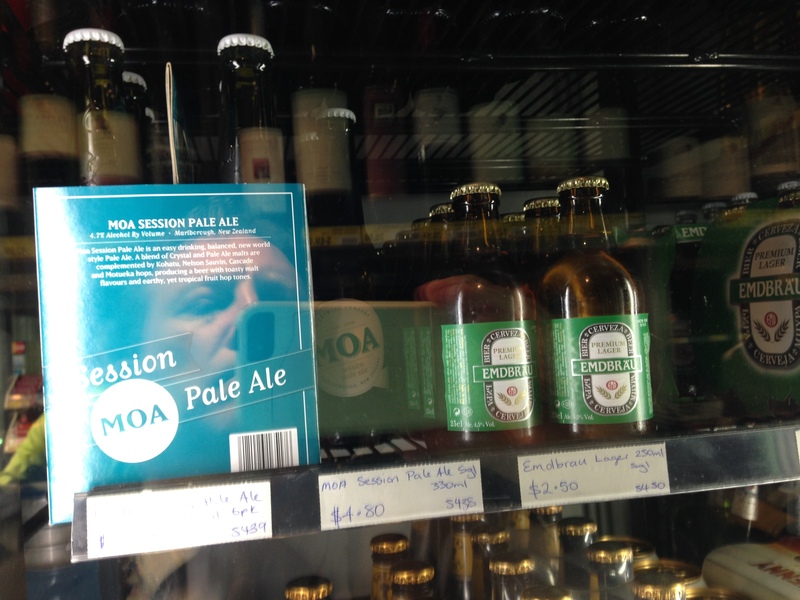 The Moa session pale ale was on the list of beers I planned on writing about – I rate it highly! However, you’ve beaten me to the blog, so I will find a unique kiwi beer in the coming days.